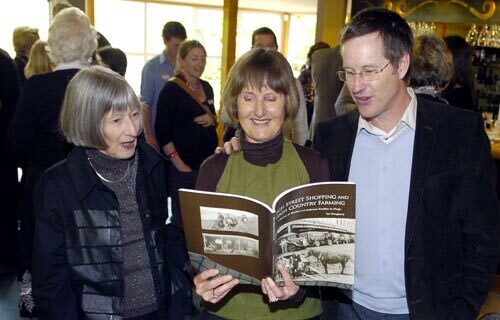 Ruth McPherson, Judy Marsh and Judy's brother Malcolm Black, study a book about the history of their forebears in the Wardell and Anderson families, in Dunedin in 2009. The occasion was a family reunion, which is often the catalyst for the preparation and publication of a family tree. The two families came together when Cecil Wardell married Rose Anderson, who lived on a neighbouring sheep station in North Otago. The Wardells then moved to Dunedin where they established Wardells' grocery store. The Andersons were known for their achievements in dog trialling. They are able to trace their family tree back to 17th-century Scotland and Ireland.